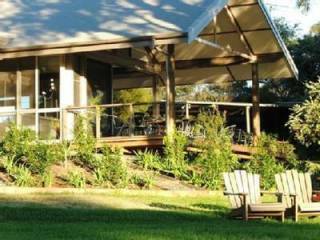 Blue wren Cottage is a fully self-contained 4 bedroom cottage in the heart of the Hunter Valley's Wine Country. We are situated at Millfield, directly on the Rover Motor Coaches bus route, with the Great North Walk going straight past the front door. Whether you are after a relaxing stay while you check out the local vineyards and other attractions, somewhere to stay when attending one of the many local concerts and events, to play a round of golf at our internationally renowned courses, or to have a cultural experience on one of the local Indigenous Arts tours or to visit historic Wollombi, Blue Wren Cottage is situated perfectly to meet your needs. 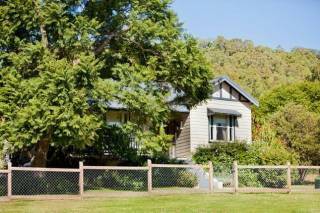 We are family and pet friendly, and the cottage is situated on a 1,400 sqm block, with a secure fenced yard (child safety locks on all gates), complete with cubby house and sandpit. 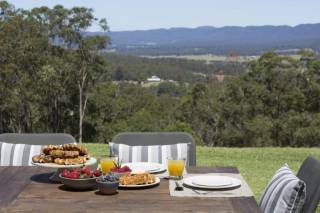 Blue wren cottage meets all the needs of a family, there is a full kitchen, bathroom with separate bath and toilet and laundry. The cottage offers a flat screen T.V, dvd player and wifi. 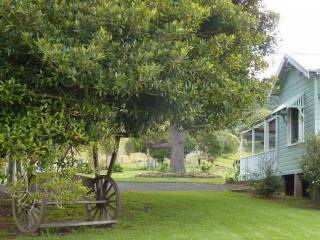 Blue Wren cottage has established gardens, a large yard for the kids to play and enjoy. Kick back on the deck under the shade sail and enjoy the view of the famous mountain rangers. Situated in the village of Millfield, the General Store/ Bar is in walking distance and offers meals, general groceries and food (both eat in and take away). 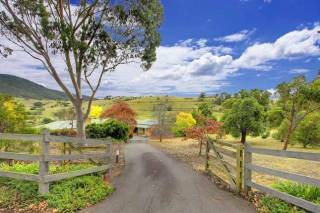 Experience the friendly atmosphere and community feel that is unique to these small rural villages in the Hunter. For the more adventurous, why not experience a Hot Air Balloon Flight, come up the night before, enjoy a glass of our local wine, and relax knowing that you have only 10 min drive when you wake up early in the morning for your flight. Then enjoy some of the local experiences, and head back to the cottage and have a relaxing night, waking up the next day to a late midday checkout at NO EXTRA COST. For the Trail Bike enthusiasts, Blue wren Cottage is situated on the based of the Corrabare State Forest with some of the best single track riding in Australia. The local forests all inter-connect and you will be able to ride all weekend without going over the same bit of ground twice. If you are bring bikes, call and we will arrange secure shedding, along with a Gerni so you can clean your bikes. Get 6 Riders together for the weekend and it really does work out to be a cheap weekend, and don't have to track your bikes everywhere. Bennett St is the first street you come to when you drive into the village of Millfield, when coming from Cessnock. Follow Wollombi Rd out of Cessnock for about 13KM. Blue Wren Cottage is on the North end of Bennett St.